So.. survival or creative? I loved exploring huge, dark caverns with the threat of mobs appearing from nowhere.. but the lure of diamonds pulling me on. 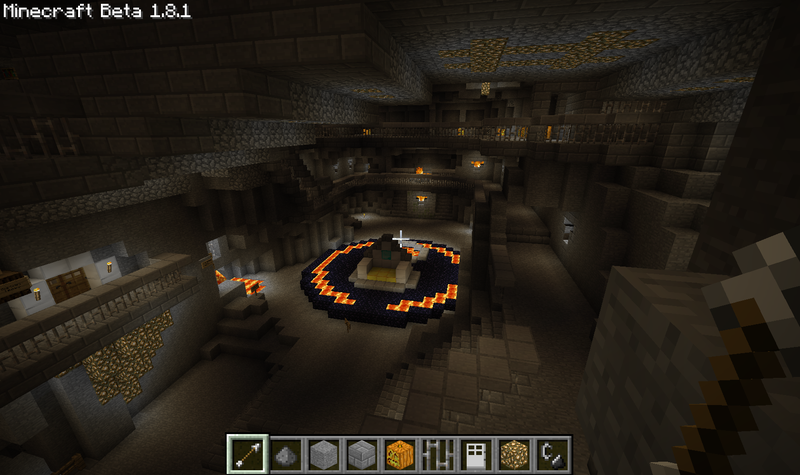 I also loved building and decorating, though that really took off with the addition of VoxelSniper, when I was able to carve out huge caverns..
September 24th, 2015 | Tags: baby zombies, creative, interface, Minecraft, mods, Mojang, Notch, screenshots, stacks, survival, vanilla minecraft, Windows 10, Windows 10 Edition Beta. Minecraft has been updated to 1.4.6 today, adding fireworks, enchantable boots and a Christmas surprise, as well as a few tweaks and fixes! 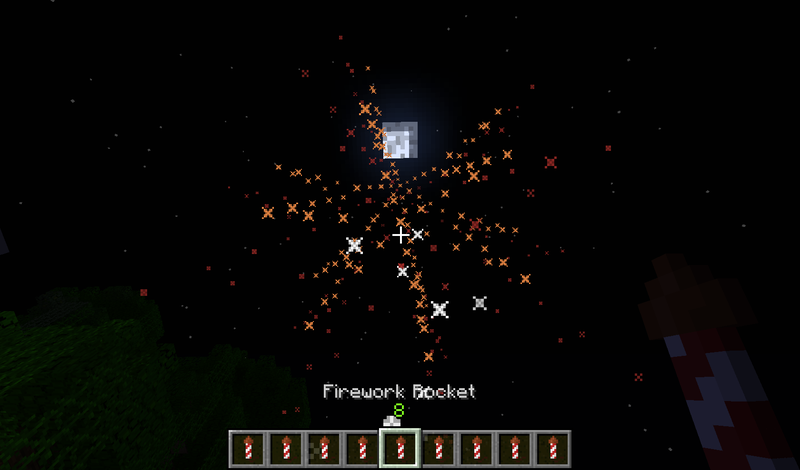 December 21st, 2012 | Tags: Christmas, fireworks, gift card, Minecraft, Minecraft 1.4.6, the Redstone Update. Call of Duty: Black Ops II launches across the UK at midnight tonight! November 12th, 2012 | Tags: 22 Cans, Black Ops II, Borderlands 2, Call of Duty: Black Ops II, Curiosity: The Cube, DLC, launch, Mechromancer, Minecraft, Molyneux, Notch, THQ, Treyarch. Mojang’s Pretty Scary Update for Minecraft has now arrived! October 25th, 2012 | Tags: Bats, Minecraft, Mojang, Pretty Scary Update, Witches, Wither, Wither Skeletons, Zombie infection. After our switch to cheating via the Not Enough Items interface, I lost interest in building the machines I had started on.. if I could have any item I wanted, I didn’t need to bother mining for resources! I wanted to make some buildings and try out all the new blocks.. covers, panels, strips, corners.. and coloured lamp blocks and Luminators. I wanted some nice flat land for this too.. so I went to look at the Terraformer. The Terraformer can flatten land, turn it into a desert, or grassland, can add plants and trees to existing land, irrigate or chill the area to snow. August 10th, 2012 | Tags: Cultivation, Desertification, Flatification, Minecraft, nuke, range of effects, sea, Tekkit, Terraformer, TFBP, water. I’ve wanted to come back to the Technic Pack for a while.. but I had put it off because of messing around updates and .bin files.. I was still playing with VoxelSniper on an old server build and was avoiding updating my client. However, two things happened: I discovered the rather awesome Technic Launcher, which lets you switch between vanilla and a few Minecraft mods from a nice drop down list.. and a friend decided that he wanted to try out the Technic Pack too, and replaced our regular Minecraft server with a Tekkit server. 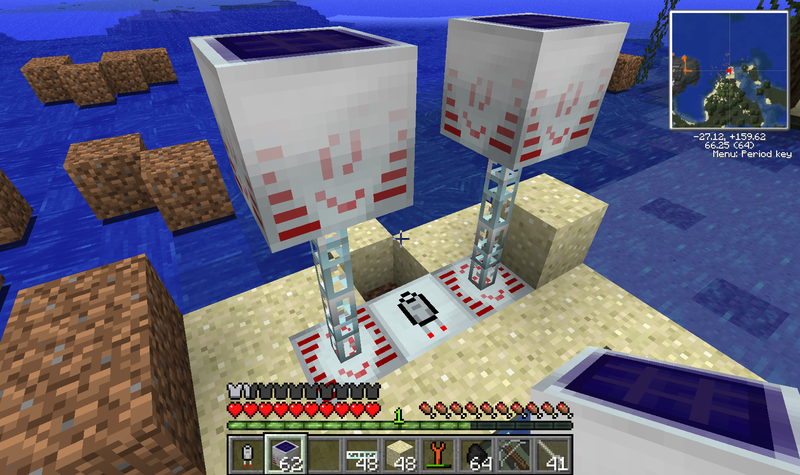 August 8th, 2012 | Tags: building, electricity, Extractor, farming, machines, Minecraft, Not Enough Items, Technic Pack, Tekkit. Minecraft has now been updated to 1.3.1, adding new features, new buildings, blocks and items, and as usual, fixing bugs. 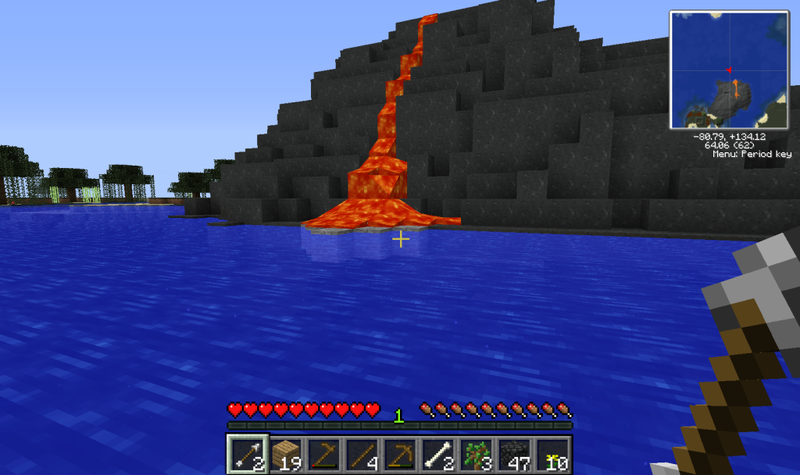 August 3rd, 2012 | Tags: Adventure Craft, Adventure Mode, Minecraft, Mojang, trading, update, villagers, zombies. 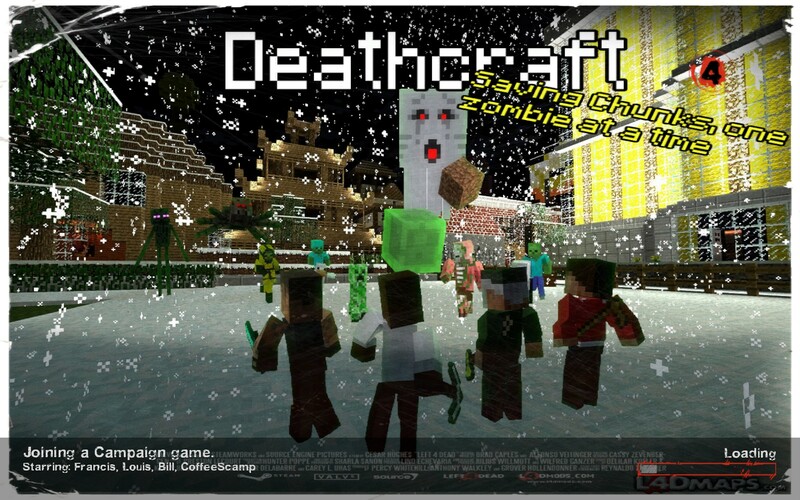 Deathcraft II is a rather impressive mod and campaign for Left 4 Dead 2.. turning it into something that looks just like Minecraft! July 29th, 2012 | Tags: campaign, Co-op, Deathcraft II, Ender Dragon, left 4 dead 2, Minecraft, mod, models. I planned to have just a quick go, to compare it against the PC version which I’ve sunk many, many hours into. As usual, I spent my first night up on a pole.. I’ve never been keen on the hole in the ground method! Once I had some resources gathered, it was on to the crafting.. 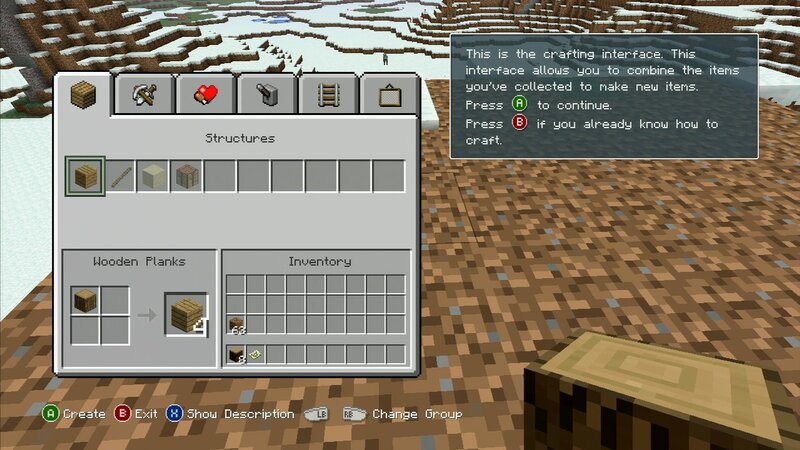 There have been a few changes to crafting, making it a lot easier to use! The system allows you to navigate through categories and then just click on the item you want to make.. and as long as you have the ingredients to hand, the item will appear in your inventory. 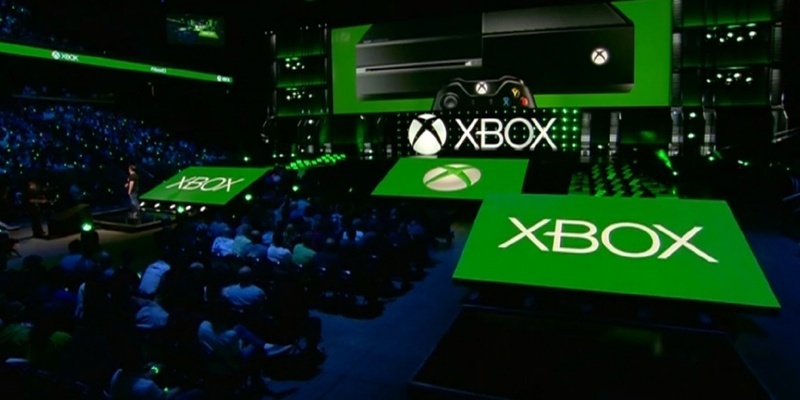 May 11th, 2012 | Tags: 4J Studio, achievements, crafting, Creepers, Minecraft, Minecraft: Xbox 360 Edition, multiplayer, PC version, railroad, split-screen, updates, zombies.